Hanover – There's hardly a better way to celebrate reaching a milestone than with victory, and with so many people there to witness it. Mats Hummels played his 200th Bundesliga game in front of 49,000 spectators at the HDI-Arena on Saturday, and he had plenty of reason to rejoice in a 4-2 victory which consolidated BVB's place at the top of the table. 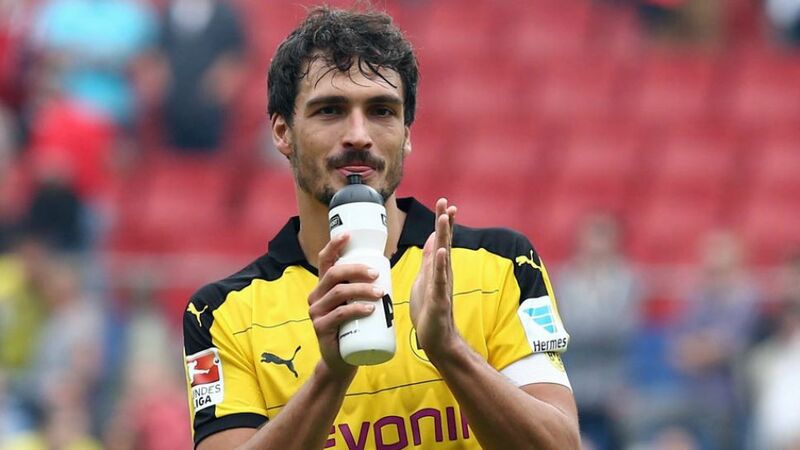 Question: Mats Hummels, four wins from four league games – what do you make of that? Mats Hummels: It wasn't an easy game to win today, but one that we had to fight for. It was what we expected; like it has always been at Hannover in recent years. They've always been tight games here, even if we've more often than not been able to come away with a win. I've only ever lost here once, if my memory serves me well. Question: You turned a 1-0 deficit into a 2-1 lead just before the break. Was that the turning point? Hummels: No, I think we only put a lid on it when we made it 4-2. It was on a knife-edge until then. The game was wide open. Hummels: I really should have got that ball before they made it 2-2, absolutely. I go for a header when it would have been better for me to go with my foot. Either way, I really had to clear it. Hummels: It's been three or four years now that I'd say 80 percent of our opponents have played defensively against us. We've just got to be patient and wait for our chance. Hummels: They're allowed to dream. We've made a very good start to the season. Things are going well and we're happy, but we've still got to find a touch more stability.